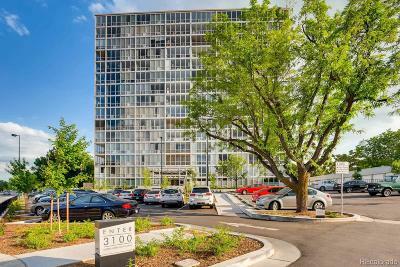 Million Dollar Views from this spacious 11th floor condominium in one of Denver's iconic buildings! The panoramic views will take your breath away. 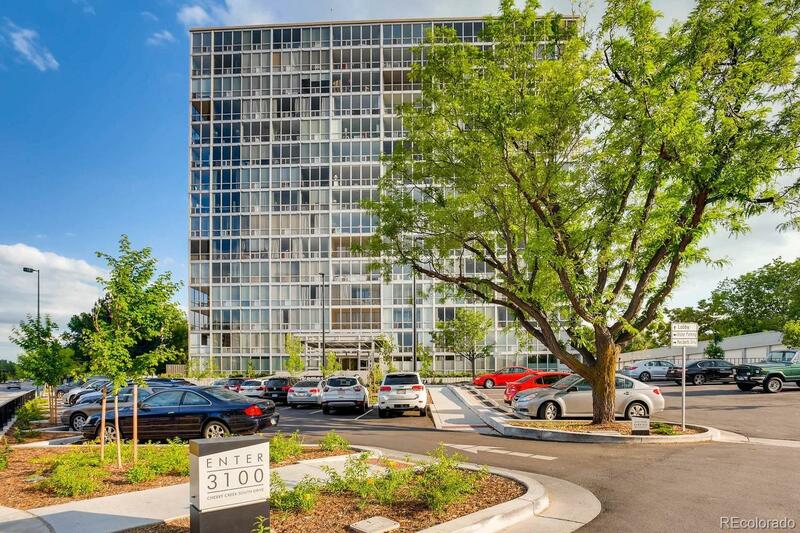 The floor to ceiling glass walls provide you with views of the mountains and city from the South and past Downtown! Updated kitchen with granite countertops, itegrated stainless steel sink, and a large island. Stainless steel appliances: refrigerator, dishwasher, double oven, and microwave. Automatic shades are throughout the unit. This condominium is made for entertaining and watching stunning sunsets and gazing at the stars in the moonlight! Stylish lobby, lovely patio garden and pool. The building features a guest suite available for reservation, lower level fitness center and laundry room. Parking space #42 is in under-building garage. There is ample visitor parking and a circle drive portico. The building is professionally managed with an on-site manager. Locked entry with intercom.